Virginia Attorney General Ken Cuccinelli released a document that he claims shows a connection between former Governor Tim Kaine and convicted murderer Jens Soering, prior to Kaine being elected to public office. Kaine, then a practicing civil rights attorney in Richmond, wrote a three page supportive affidavit that was then used on Soering’s behalf. The affidavit package appears to show Kaine offering assistance to Soering’s defense team in seeking relief from a potential capital punishment sentence. Kaine’s campaign says he had nothing to do with the matter and that document was part of the public record. They say it was not intended for inclusion in this affadavit. The document filed in 1988, is part of a series of affidavits Soering filed fighting his extradition from Germany to avoid the death penalty in Virginia. Soering was eventually convicted of two first degree murder charges and given two consecutive life sentences in 1990. In the document Kaine does not address Soering’s guilt or innocence, but instead talks about the legal ramifications of a capital murder conviction. In fact, Soering himself is not even mentioned in the document. Kaine has consistently said that his connections to Soering were only as governor and it was his responsibility to review requests from the man, and act accordingly. He finally signed a letter allowing the DOJ to review the case so that Germany would be financially responsible for his imprisonment, and only after the country convicted him in a German court and agreed he’d be sent directly to a German prison. Kaine’s campaign vehemently denies his connection to Soering in this matter and says the affidavit was pulled from the public record of a 1988 case. Kaine served as an expert on Virginia capital procedure in a constitutional hearing initiated in federal court by Virginia capital inmate Joseph Giarrantano. They note that Soering’s name is not included anywhere in the filing and that Kaine did pnot consent to his work being used in the case. In a conference call on the matter, Cuccinelli conceded that it is in the “realm of possibility” that Kaine could’ve written something in support of a completely different case that could’ve have been used in this matter. However, Cuccinelli defended his assertion that Kaine has not been completely forthcoming for his reasoning for offering Soering a transfer. He said that during their review of the case, they should’ve been aware that a document exisited with his name attached to it, that was used in support of Soering. We will continue to look into the details behind the issue. *The affidavit itself (pulled from the filing)a>;;;. Kaine’s section begins on page 12. – Ken Cuccinelli on Tim Kaine’s explanation regarding the Soering transfer. Former governor and current candidate for Virginia senate, Tim Kaine is under the spotlight this week. Just how far has his position on adoption changed since he was a candidate for governor? PolitiFact takes on the challenge. The question is.. does this half-flip present problems or opportunities for Kaine the candidate? As one twitter follower pointed out to me “evolving” positions aren’t always a bad thing depending on your perspective. The problem for Kaine might be that he mayt not even be 100% sure about how he feels about this issue. You can see the full PolitiFactVirginia report on this issue by clicking here. It was a job he didn’t want. A job he said would force him to take his “eye off the ball” of his responsibilities as Virginia’s Governor. But as he gets ready to leave the Executive Branch of the Commonwealth’s Government and take on the role of Democratic National Committee Chairman full-time, Tim Kaine is attempting to make the case that having both jobs at the same time actually helped the people of Virginia. I asked Kaine about his service as DNC chair during my lengthy exit interview with the Governor last month. Kaine made no apologies for taking the job, despite his own reservations prior to taking on the role. Describing himself as a “patriot”, The Governor told me that when the President asks you to serve, you answer the call. But he agreed only after he and Barack Obama came to an understanding. Kaine said that Mr. Obama instructed him to concentrate on being Governor and tend to DNC business when he had time, before taking up the mantle completely in 2010. He said that looking back, his view of serving those two masters was incorrect. “Results speak for themselves,” Kaine said as he pointed to Virginia’s record as a business friendly state and its continued recognition as one of the best-managed states in the Country. Kaine said he was able to leverage his relationship with the White House to encourage them to issue an executive order to begin work on cleaning up the Chesapeake Bay and keep an aircraft carrier from being moved from Norfolk Bay. According to the Governor that advantage to the Commonwealth, far outweighed the negative aspects of serving as the leader of the national Democratic party. This Saturday during our special coverage of Bob McDonnell‘s Inauguration, I will have special in-depth look at Governor Kaine’s four years in office. The story will include more never heard clips from my one-on-one interview with the Governor. 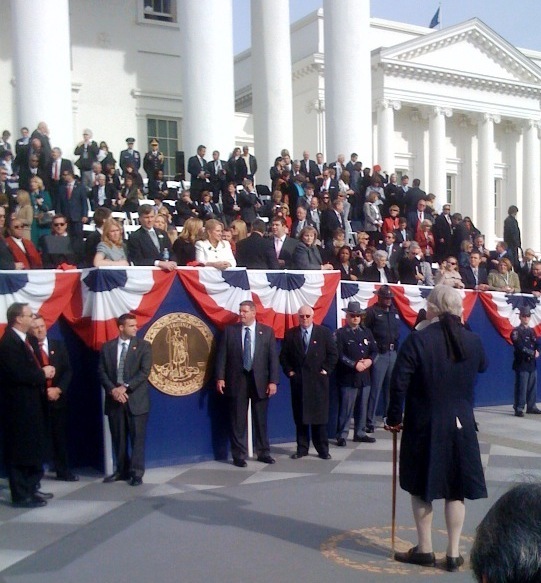 Our coverage of the event begins at 11:30 and we will broadcast the entire Inauguration on NBC12-TV and NBC12.com. You can see the entire extended clip on Kaine and the DNC from our interview, below. Yesterday we previewed Governor Tim Kaine’s final State of the Commonwealth and wondered if he would spend more time looking back, or forward. In a speech that lasted, just a little more than 20 minutes he spent the bulk of his address building the case for a positive legacy. But he did use some of his time to make direct and almost stern points about what direction the Commonwealth should continue on. For a full recap you can read and watch my story from last night on NBC12.com. A bit later tonight, I will have more how the Governor feels being DNC chair impacted his time as Governor. As the time wanes in his time in office, Kaine has received a few positive reviews from the editorial boards of Virginia newspapers including the Washington-Post that said if Kaine were able to run for re-election, who would have won without much of a problem. Considering that Kaine has already gone to great lengths to build his post-gubernatorial image it will be interesting to see if he chooses to use the platform of the State of the Commonwealth as a swan song to point out his accomplishments or as a clarion call to legislature to keep his budget plan in place. Kaine just proposed the most controversial and difficult budget of his entire time in office and has warned his successor Bob McDonnell and the legislature not to mess with it. Tonight, look to see if the Governor talks up his accomplishments, or decides to wade into a fight that ultimately, he will not be a part of. *The entire speech will be streamed live on our main web site: nbc12.com. *I will provide live “tweets” from the Capitol during the speech on my Twitter page. 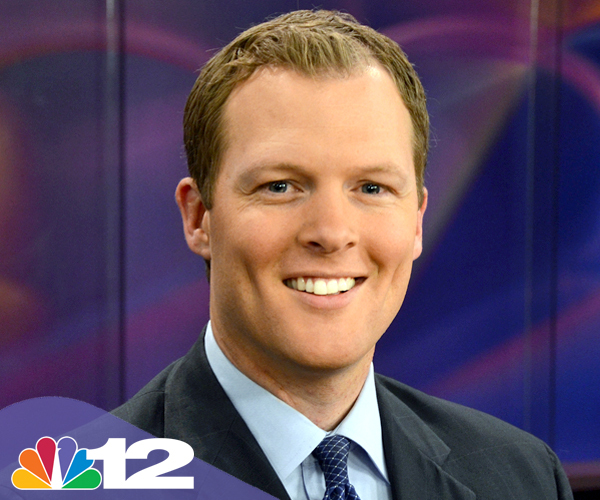 *I will be at the State Capitol and with a live recap on NBC12 News at 11. 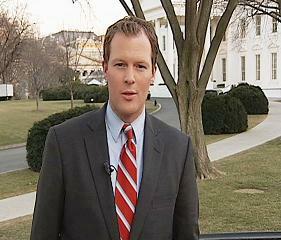 In addition, I will co-anchor FOX Richmond’s News at 10 live from the Capitol Grounds. *Tomorrow, we’ll post extended clips from the speech and reaction from the legislators that were there.